Over the past year, the Standing on Their Shoulders project has attempted to encourage young griots in our communities. 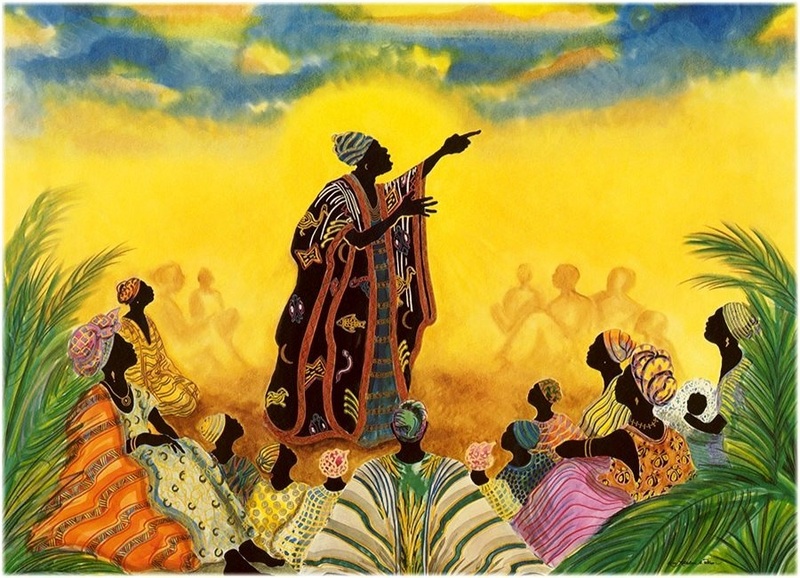 Though the traditional role of the griot in some uses of the word may be strictly defined, and unique to certain regions, part of the approach of Standing on Their Shoulders is recognizing that certain principles which undergird griot-ship, such as orality, storytelling, community empowerment through self-knowledge, are rather widespread, and have evolved in the diaspora in particular ways. It is these underlying connections that we attempted to draw on for Standing on Their Shoulders. Our effort to engage our communities’ griots is also inspired by the principle of “Sankofa”: the shortened version of an Akan principle symbolized by the goose reaching backwards. [iv] The rough translation of the proverb is “it is not taboo to go back and fetch that which you have left behind”. More simply: “go back and fetch it!”. This is the methodological principle used in the archival work of Dr. Dorothy Williams (see her thesis on black periodicals). [v] Though the Sankofa principle is mostly associated with back to Africa movements, the “Standing on their Shoulders” project applies the Sankofa principle to our work in a localized sense.